Muzzi s.r.l. 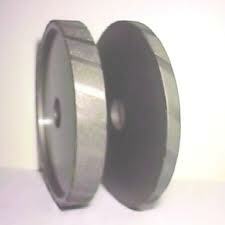 is a leading producer of electroplated wheels diamond and CBN tools. Since 1980 Dr. Marcello Muzzi has been producing electroplated wheels for the mechanical and stone industry. Electroplated wheels are used in different sectors, ranging from precision mechanics to soft stone shaping. Our strategy consists in supporting end users and machine producers, pointing at a running cost reduction through technical innovation: for this reason, our electroplated wheels are custom designed and produced. Are you interested in our electroplated wheels? Contact us now!